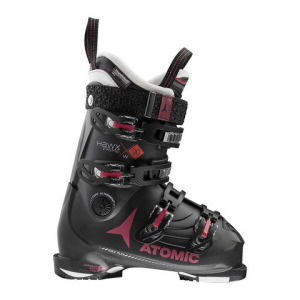 Atomic has always really paid attention to detail with their women's boots. The Hawx Prime 90 is an all mountain boot that can boss a ski anywhere on the hill. This cozy high performance boot has a very cozy liner with 3M Thinsulate that makes this one of the warmer liners around. This is a great boot for that gal that wants to progress her skiing abilities to the next level.